It’s the official first day of Fall and it’s supposed to be 80 degrees (F)! We had a gorgeous weekend that I spent with a friend from Peoria. We all need a girls weekend, no? On Friday the lovely FedEx guy (Now, I have no idea if the delivery person is a guy or how lovely he really is, but he delivered goodies for me.) left me some books. One of them was a Java book (boring) and one was Custom Knits . 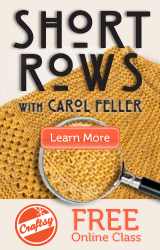 When I looked at the projects on Ravelry for this book, I liked them, but was not blown away. I picked some for my queue, but was a little blah about them. Well, now that I have had some time to look through the projects in the actual book, I do love a lot of the projects. And to be honest, these might not be the main project, but the alternate view. Some of the little changes to those really caught my eye. I think most people will like this book, so go pick it up, sillies! Totally agree about the book being much better “in person” – it’s one of my faves. Previous post: Who needs more size 7 needles? Oooh, oooh, oooh, pick me! Next post: Yesterday was the first day of Autumn!